Princess Andriana Resort & Spa is the most prestigious All - inclusive Resort in Kiotari, on the Island of Rhodes. Proudly overlooking Kardamis Beach, this award winning 5 star resort is elevating the All Inclusive concept to a higher level. Our Hotel offers an extraordinary accommodation experience and personalised service for couples, families, and even solo travelers. 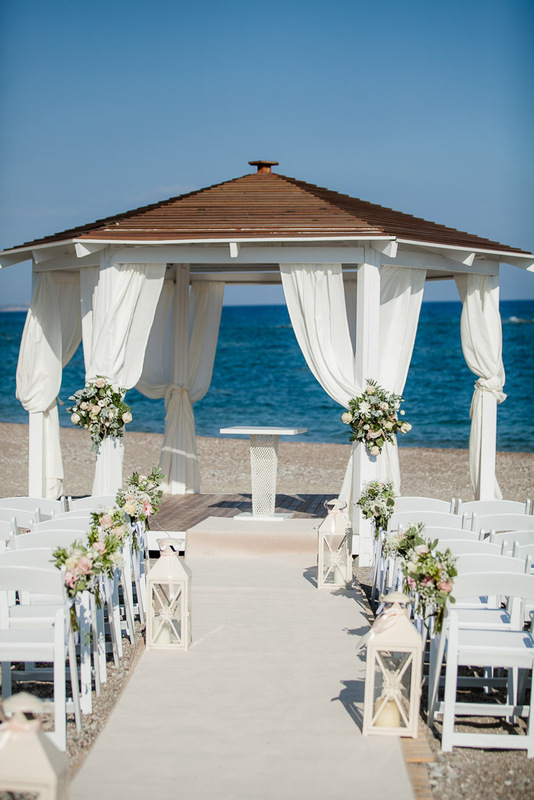 A dreamy wedding ceremony by the sea. 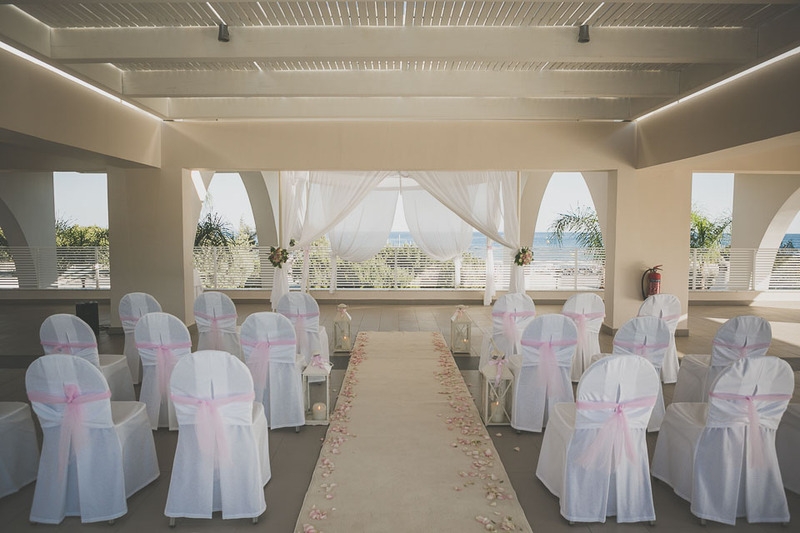 Located on the hotel grounds and overlooking the blue waters of the Aegean Sea, Coral terrace is the perfect place for a romantic and elegant wedding. The venue is decorated with a gazebo and white curtains. Dreamt about an elegant wedding reception or a cocktail party? Moonlight Restaurant is the ideal place! A combination of unique design, service, gastronomy and ambiance promises to make your wedding reception memorable. Maximum capacity 100 guests. 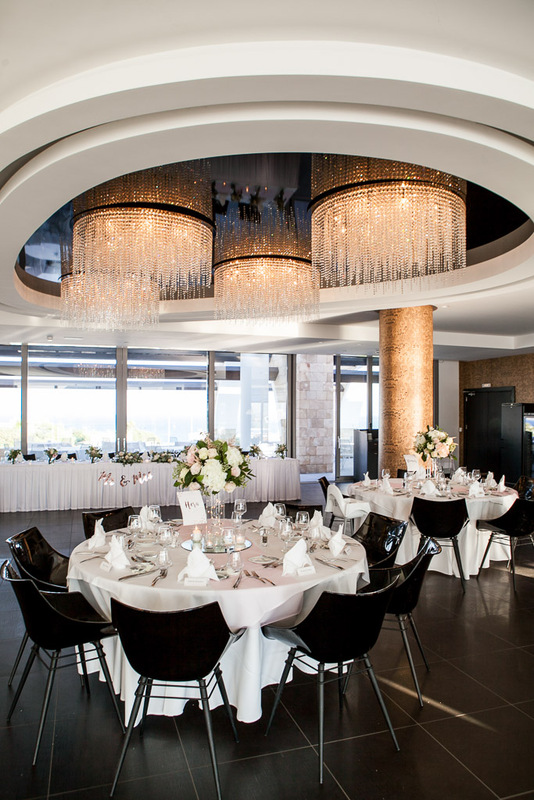 For those who would prefer a wedding reception just a few step from the sea, Coral Beach Bar & Restaurant is the perfect place for your wedding reception. An outdoor experience which offers buffet and barbeque options.